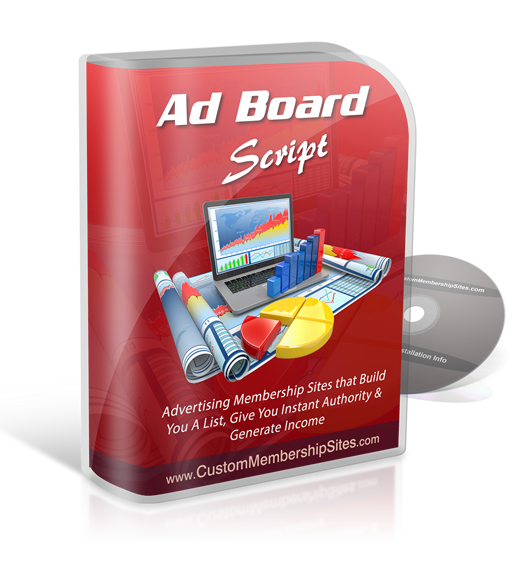 Ad Board Script – Own Membership Sites that increase your authority, give you a list & build you a lasting business online! Own Membership Sites that increase your authority, give you a list & build you a lasting business online! Check out all the details here..
Why do I need a Membership Site? Membership sites keep people coming back to your site daily! Members will refer others increasing traffic and signups with a viral effect! You are building your list as the admin and can email members any time you like. How do these Membership Sites make money? Members signup free to use the tools on the membership site e.g. building their list, posting free ads to get traffic, cloak links or to build their downlines. They are then taken through the special built in sales funnel that these scripts have. Free members have the chance to upgrade their accounts to a higher level that comes with premium benefits, and bonus advertising that is shown through-out the site. You receive the payments for these ads and upgrades. OK, I’m Ready.. How Do I Get Started?